With the new WCF-WebHttp Adapter that shipped in BizTalk Server 2013 we now have the ability to specify which HTTP verbs to use – this opens up the possibility of invoking RESTful style applications. 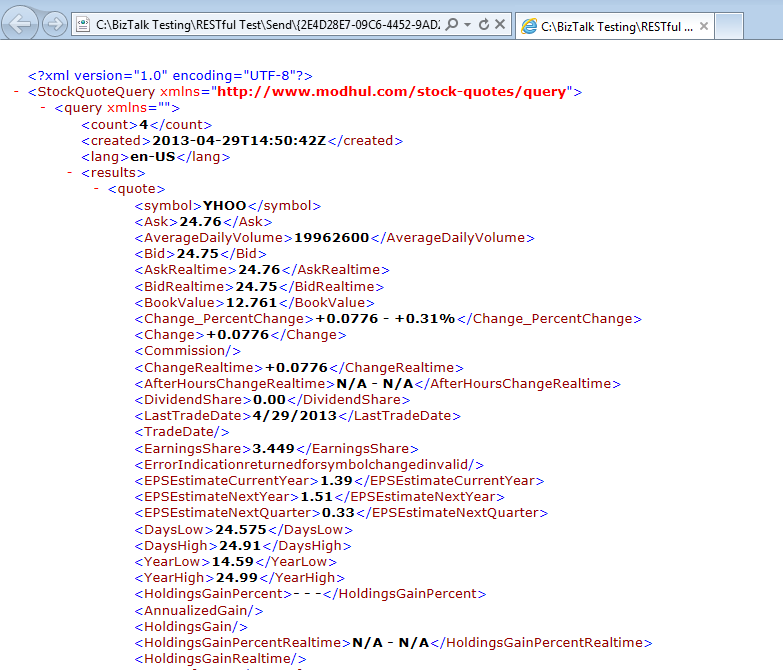 In this post, I’ll investigate how we can RESTfully invoke an endpoint that exposes data via JSON using the GET verb – we’ll be ‘RESTfully GETting JSON Formatted Data with BizTalk 2013’; I’ll be retrieving stock tickers from Yahoo! 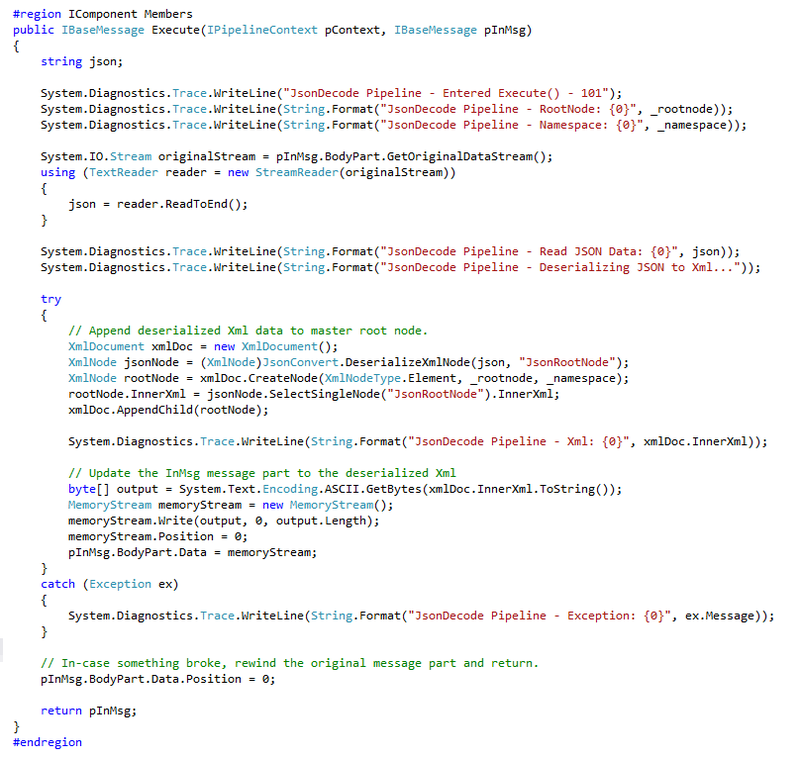 Finance in JSON format. 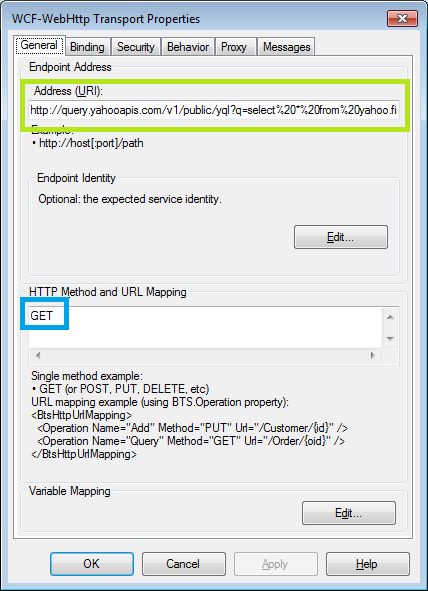 Simply create a schema that represents your new message and voilà, you’re receiving JSON data and processing it as an Xml message within BizTalk; you’ll also have access to all of the usual property promotion/routing capabilities etc. Now that we have configured our solution, what do the input and output messages look like? 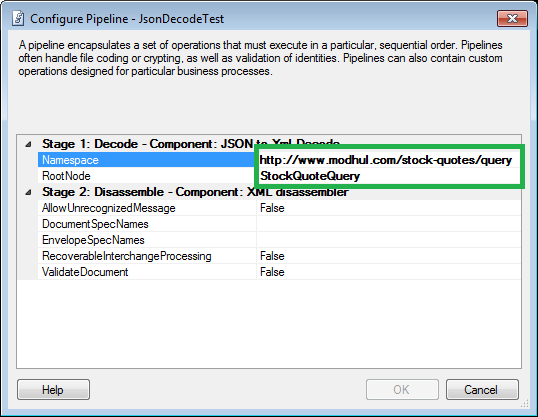 Feel free to download a copy of the solution if you’re interested –> Modhul.PipelineComponents.JsonDecode.zip. 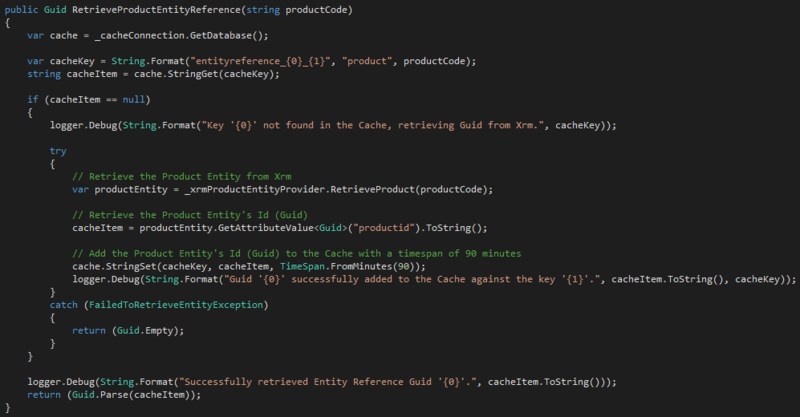 Please note that the sample code is for demonstration purpose, and it is NOT production quality code. 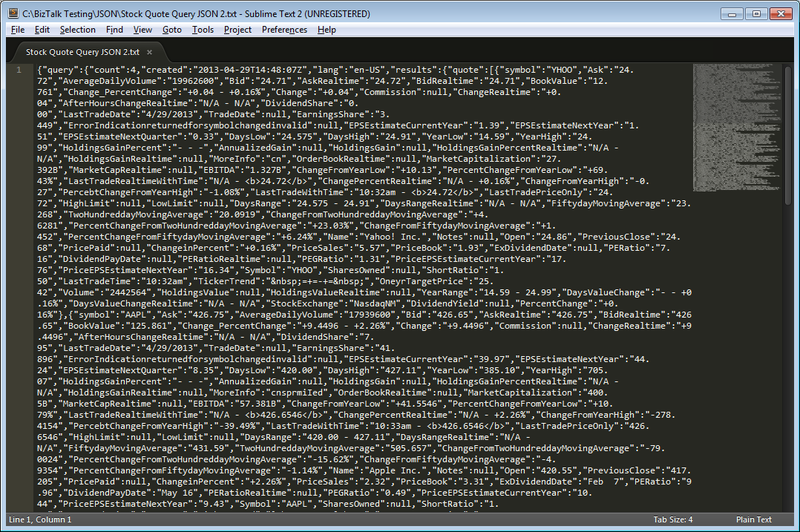 Stay tuned for Part 2, where I will look at POSTing JSON data from BizTalk.